Adrienne Moffett Powell is married and a native of Birmingham, Alabama. 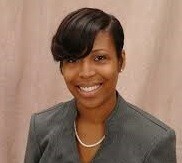 Attorney Powell has had close to 10 years legal experience, gaining much knowledge in and out of the courtroom. She was admitted to practice in the State of Alabama in 2008, prior to which she worked for a law office in Birmingham, Alabama for almost 6 years. She has always had a passion for law and has been known to agressively fight for her clients. Currently, Attorney Powell practices in several surrounding counties, including Jefferson, Shelby, Chilton, St. Clair, Morgan, Bibb and Madison County. She specializes in Adoptions, Divorce, Alimony, Modification, Child Support and Family Law. Feel free to contact Attorney Powell to schedule a consultation.